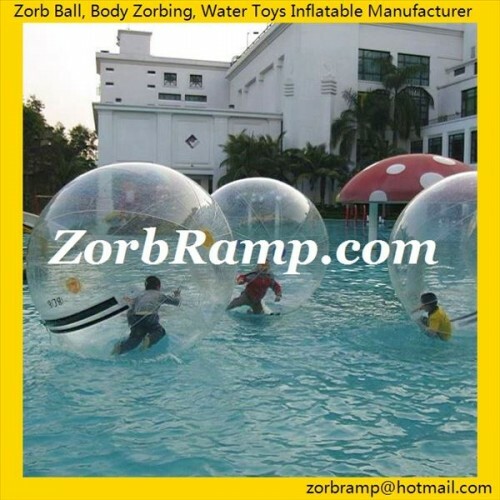 1) To get a quote: email us via zorbramp@hotmail.com, advising item no., qty and country. 3) Pre-payment: we will arrange production as soon as receipt of payment. 4) Shipment: to be shipped immediately when it's ready, appr. 8 days for shipping. 1) People having heart diseases, hypertension, weak physique are prohibited to participate. 2) Less than 10 years old kids and over 55 years elders are prohibited to play the ball. 3) Don't carry anything sharp during play, such as high heels, key etc. 4) Make sure nothing sharp on rolling places. 5) After fasten your seat belts, please double check and confirm you are firmly strapped. 6) After the ball stops, don't exit immediately but just stay for two or three minutes there.